Last night, Carlos and the kids made artichokes stuffed with Italian bread, garlic, parm cheese, parsley, oregano and some vegetable oil. We devoured the delicious goodness! Can’t you tell by the picture! As I was pigging out, I couldn’t wait to share my scraps with the Red Wigglers. My buddy Kristi makes these often because her sweet daughter LOVES them. I find them often in the Neighborhood Community Bin for the Red Wigglers. Hey, guess what??? Worms love artichokes! Rotten ones and eaten artichoke skins (I think that’s what they are). I fed a few of the wigglers last night and will make my way out to the larger bins this afternoon. I’ll sprinkle a layer on top and give them a yummy treat. 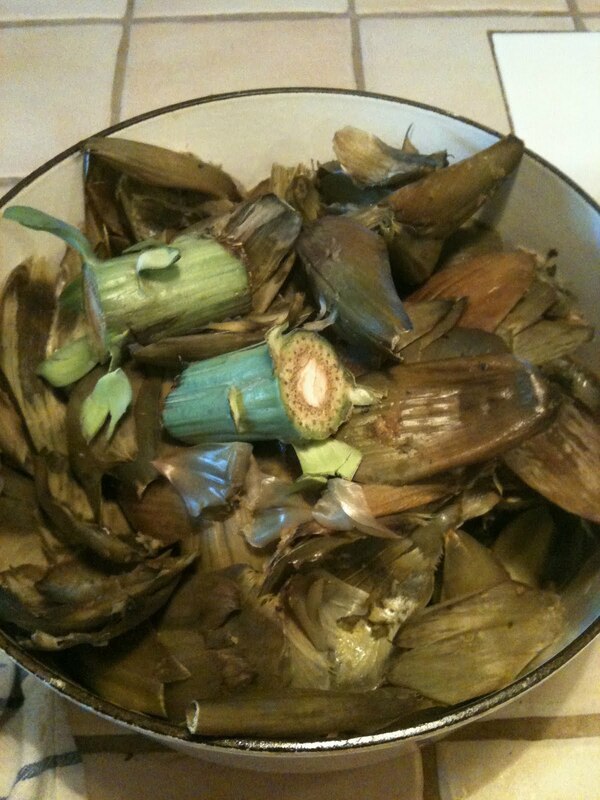 So next time you have some artichokes, feed the scraps to the wigglers. I didn’t rinse mine to remove any of the stuffing, not there was a lot left after I got through with them. What I’m trying to say is…Don’t worry if there are remnants of stuffing. Go ahead and feed them to the Red Wigglers. A little bit won’t hurt them. Everything in moderation!